This is the second time we’ve managed to catch a prototype of the hottest GLS that’s going to be available in future. 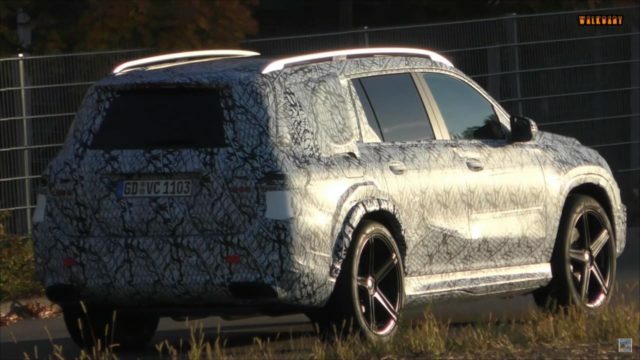 In contrast to the previous occasion when the mighty SUV was checking out its snow abilities, this time the 2020 Mercedes-AMG GLS63 has been spotted on a road test. The prototype is still covered with heavy camouflage, so it’s pretty hard to notice what’s been changed. Still, we know it’s the hottest version thanks to the front end that features the Panamericana grille and different air intakes. 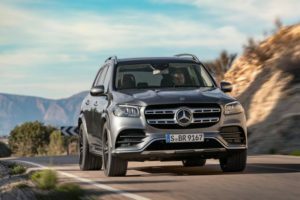 While the regular model gets just a single place to breathe air, the 2020 Mercedes-AMG GLS63 gets a series of openings. 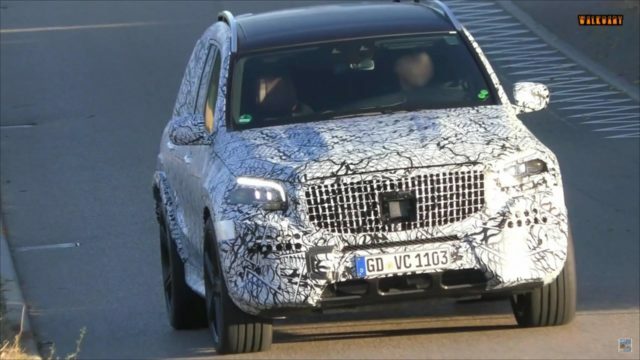 Also, the overall bumper is notably more massive than the regular one, while the AMG-treated SUV should host extra sculpting on the corners in order to look more aggressive. At sides, the new GLS63 reveals large wheels coupled with wide rubber and massive brakes. There’s no sidestep, which is pretty weird. The automaker, however, will not forget on that for sure. Instead, the new model will probably use a powered step. 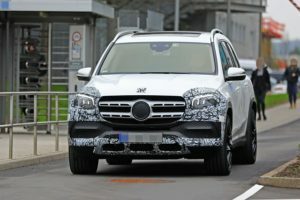 We haven’t managed to catch a glimpse of the interior this time, but we are pretty sure that the SUV is going to get pretty similar treatment as the latest models from Mercedes. Meaning, the automaker will add the new MBUX system, as well as the full-glass cockpit treatment. The best possible materials are something that always goes together with Merc, while we also expect a range of the latest safety tech and some kind of autonomous drive. Speaking of drive, the AMG-based 2020 GLS63 will rely on a 4.0-liter twin-turbo V8 and a 9-speed automatic transmission that’s going to send power to all four wheels. It’s still unclear how many ponies are going to deliver the powertrain, yet most of the reports say that there will be over 600 horsepower, which is more than enough without any doubt. 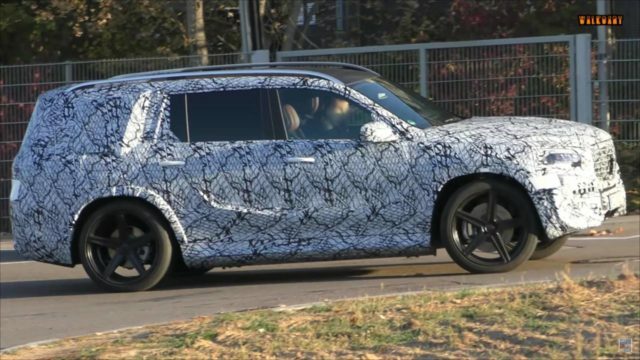 The 2020 Mercedes-AMG GLS63 will arrive next spring, probably at the Geneva Motor Show in March.